The cosmetics industry has a rich history of creativity and discovery utilizing a mixture of ingredients from non-living and living sources. 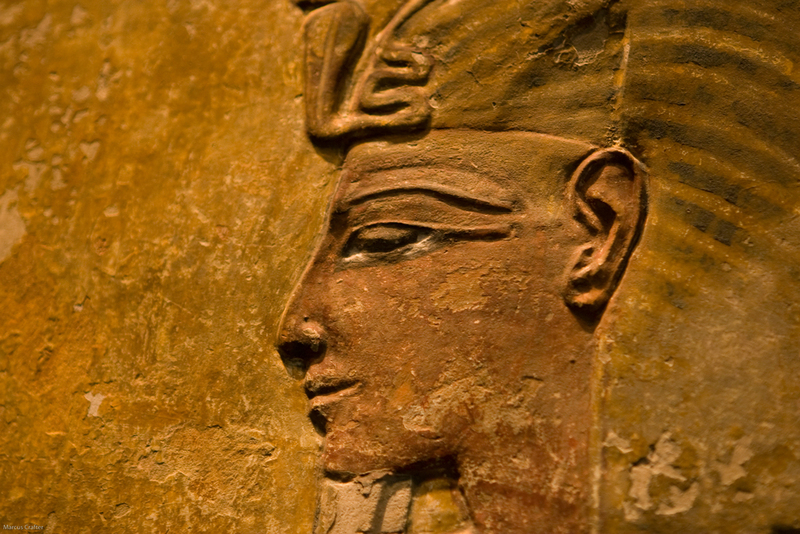 For example, the ancient Egyptians were known to use kohl, a powder consisting of metals such as lead and copper mixed with biological ingredients such as beeswax and almonds. Nowadays, cosmetics in the United States represent a 54.9 billion dollar industry and although we have refined the process of making cosmetics since then, the strong connection to biological ingredients remains, and the cosmetic industry has begun to acknowledge the role of bacteria in many facets of cosmetic production and use. 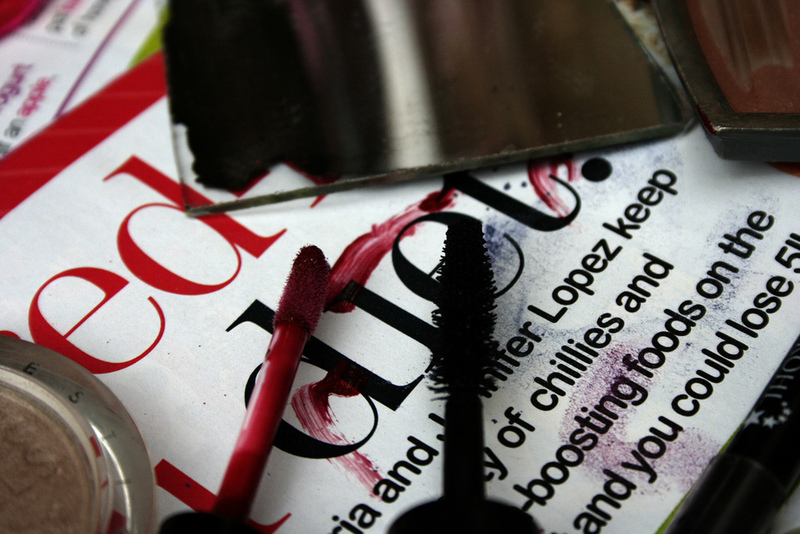 Makeup: a tasty treat for microbes. Bacteria naturally colonize every inch of our bodies; many of these microbes aren’t harmful to us. In fact, good microbes block or compete with bad microbes, keeping bad microbes under control. However, if these potentially bad microbes get into your cosmetics, they can grow unchecked leading to health problems. This problem is a modern issue; ancient cosmetics like kohl were actually very toxic due to the heavy metals used as ingredients such as lead. These ingredients gave ancient cosmetics anti-microbial properties, but long-lived Egyptians may have eventually been killed by the very makeup that protected them from infection. Although we have learned to not include toxic metals in our cosmetics, this change comes at a cost: makeup is no longer anti-microbial and, in fact, may aid harmful bacteria. A wide variety of potentially harmful bacteria can grow in your cosmetics. These bacteria include Staphylococcus aureus and Pseudomonas aeruginosa. Staphylococcus aureus is well known to cause Staph infections that are highly contagious and problematic in hospital settings. Many Staph infections are becoming increasingly difficult to treat due to their emerging resistance to our most potent antibiotics. Pseudomonas aeruginosa can also cause wound infections that can result in a more serious sepsis (blood) infection. There are several tips and tricks you can use to avoid bacteria in your make-up. Have any old makeup? Throw it away! Makeup doesn’t age well, so start fresh. Have you ever had an allergic reaction to some makeup brands after you had the makeup for a while? This reaction may, in fact, be caused by bacteria that end up in your makeup. Also, don’t share your makeup. If bacteria have contaminated a makeup product, sharing may quickly spread the bacteria from person-to-person and into different makeup products. Immune-compromised individuals need to be particularly careful; other bacteria harmless to you but pose a problem to immune compromised individuals such as Staphylococcus epidermidis and S. warneri can grow in your cosmetics. Sharing is not always caring. The creative use of a deadly toxin. In addition to combating microbes, the cosmetic industry has also gotten pretty creative with how it uses microbes. Botox is a protein used to smooth out wrinkles on your face and treat uncontrolled blinking and lazy eye. Although it seems harmless enough, the full name for this protein is actually the botulinum toxin, a potentially deadly neurotoxin produced by the bacterium Clostridium botulinum. An example of Botox being sold commercially to combat severe sweating. At least they acknowledge they are selling a toxin. Clostridium botulinum can only grow without oxygen, this type of bacterium is referred to as an obligate anaerobe. This life history trait is what enables C. botulinum to cause severe infections and deadly food-poisoning. For example, C. botulinum in sealed canned goods, with little oxygen to prevent spoiling, can thrive producing deadly levels of Botox. If consumed, this toxin causes botulism. The toxin travels to nerves and blocks the transmission of information resulting in lethal paralysis of muscles required for breathing or a beating heart (in a similar fashion to tetradotoxin). This same paralysis of muscles is exactly what is desired when using Botox as a cosmetic! Pay no attention to the bacteria behind the curtain. Vetiver grass essential oil. You can buy some online for yourself if you really wanted to. Just remember to thank the hard working microbes that made it possible. Photo credit: Alodia, Thailand. The cosmetics industry may soon be utilizing microbes in other ways to make cosmetics. Perfumes are mixtures of essential oils produced by plants. What makes them essential? Rather than implying importance, these oils have a distinct pleasant aroma, or essence, allowing them to give perfumes their scent. Why do these plants produce these essential oils in the first place? In addition to smelling nice, these oils have chemical properties that are useful to plants. First, these oils can repel or discourage pests like insects or protect plants from fungal infections. Second, these oils can also act as chemical signals for plant communication. By communicating, plants can, in a way, warn other plants of danger. Once the warning signal is received, plants can turn-on specific mechanisms to brace for threat like a pest rather than simply react to it. If plants make these oils, how are microbes involved? One plant in particular is cultivated on a large scale to harvest essential oils: Chrysopogon zizanioides or Vetiver grass. For Vetiver grass, the specific essential oil harvested for perfumes is a sesquiterpene. However, this plant may recruit some help when making this oil. Research has found that microbes may actually play an essential role in the production of these molecules. In fact, Vetiver grass itself only produces incomplete precursors. These precursors are then modified by microbes, associated with the roots of these plants, to produce their final form: the essential oil we want to use in perfumes. What does this mean for the cosmetic industry? Creative changes to the microbes associated with the roots of these plants may enable us to easily create new variations of this oil. By modifying the microbes present or altering the genes involved in this process, these new variations could crafted with different properties and scents. Interested in learning about other ways microbes influence your life? Check out other posts on the hidden – yet essential – microscopic world.